The Micro Motion Advanced Phase Measurement (APM) software option for its Model 5700 transmitter improves measurement accuracy during process upsets or intermittent two-phase flow with continuous, real-time production data for oil, water and gas void fraction. 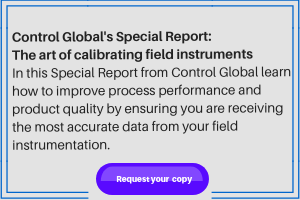 Users can track whether production is increasing or decreasing, reduce waste, maintain product quality, and identify process upsets even in the presence of multiple phases. For more information visit www.emersonprocess.com/APM.